How do I add feedback to an assessment question in Quizzes.Next? 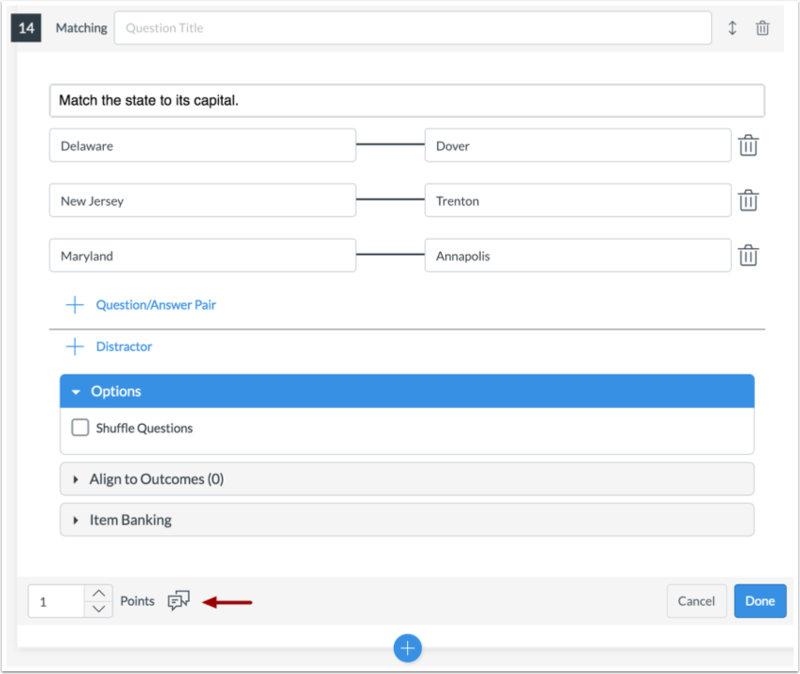 You can add feedback to any assessment question created with Quizzes.Next. Students can view your feedback when they view their results after submitting an assessment. In addition to general feedback, students will see all feedback comments relevant to their answer choices. Locate the question where you would like to add feedback . Click the Edit icon . 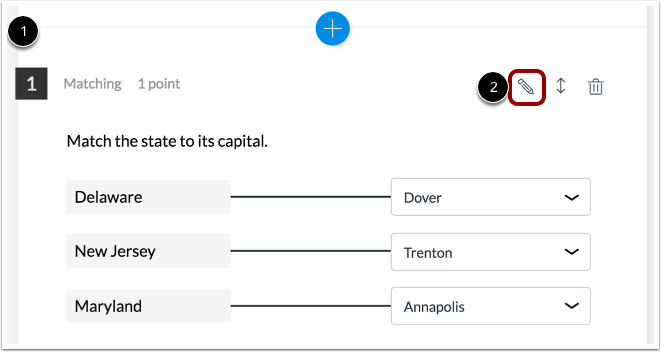 Student feedback can be customized to display feedback for correct answers  or incorrect answers . You can also display the same feedback for all answers . 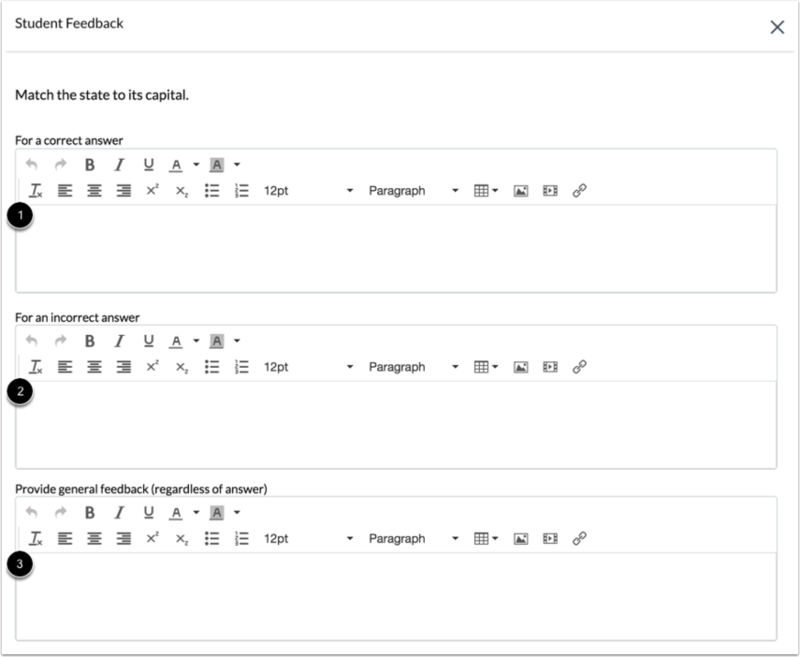 To add feedback, use the Rich Content Editor to create customized feedback . Your feedback can include images, media, or links . To save your feedback, click the Done button. Previous Topic:How do I insert stimulus content in Quizzes.Next? Next Topic:How do I reorder questions in an assessment using Quizzes.Next? Table of Contents > Quizzes.Next > How do I add feedback to an assessment question in Quizzes.Next? Re: Will the Quizzes LTI allow answer-specific feedback?